[By Nick, New for 2015, lost the Escapes branding for 2016] Along with Dubba, I was also sent a bunch of free samples of Perry's new Escapes line up (5 different flavors in total because they love me more than Dubba). While I was excited to see that I got their Peanut Butter Cookie pint, the apparent Coffee + Toffee trend we're seeing this year makes me think I should start there. 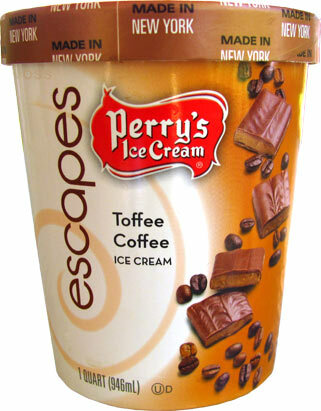 It's as if companies saw Ben & Jerry's misstep and are trying to capitalize on the lack of a suitable replacement. Off the top of my head, I can think of 4 new coffee toffee flavors released so far this year and we're not even at the halfway mark. This is a trend I can get behind. ...tons of toffee and fudge swirls become visible after removing the top layer. Okay, I'm going to be blunt, this stuff is delicious, and dare I say it, better than the original Coffee Heath Bar Crunch. Okay, I'm getting ahead of myself. While the quality isn't as super premium as Ben & Jerry's, the flavor is spot on. I thought I was eating a slightly lighter version of CHBC. 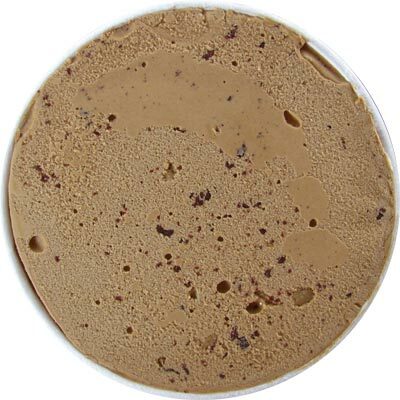 There's the nice milky but still bold cappuccino base, mixed with tons of crunchy, nutty delicious toffee chunks and to take it over the top they added a fudge swirl. While it's not a thick swirl, it adds a mocha element when combined with the base. I may or may not have ate 3/4ths of the quart in a sitting without realizing it. 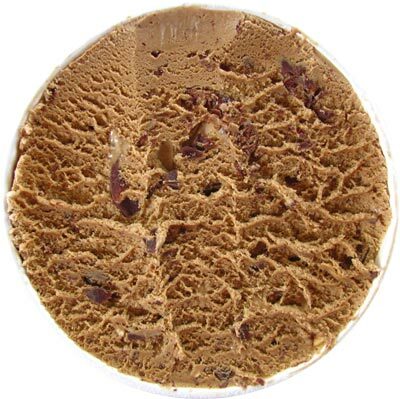 Really, if this was a denser ice cream, it might take over as my favorite coffee ice cream but it's just a tad bit too light. That said, this tops CHBC and if you're missing it as badly as I know you guys are, track this one down. Verdict? CHBC with a fudge swirl! Toffee Coffee is fun to say. Where do you get Perry's? Perry's is out of Buffalo, I personally can only find them at Wegman's. Stride, agreed. It just a nice rhyme. Anne, yeah they're mainly in the North East. 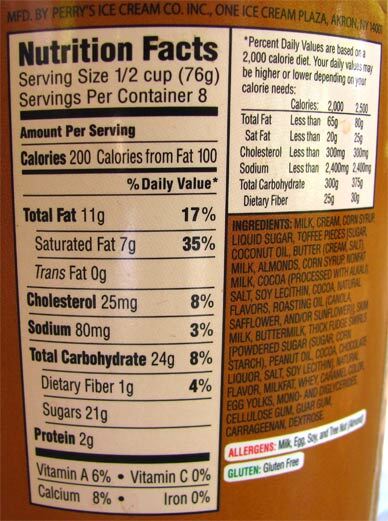 I can find them at Price Chopper and Shop Rite in my area for major store. I think my Wal-Mart carries them still as well.